Though some people may find this surprising, the groups known as barbershop quartets are still very much alive and regularly performing. Their popularity had waned for a few years until the 1940s when it picked up again and this continued popularity is still going strong to this day. The music sung by these groups is called a cappella. That means that they sing their songs without any music to accompany them. The songs must commonly sung by these quartets are four part harmonies. Each singer will have his or her own bit to sing. Usually the lead singer will sing the melody. Then the tenor will harmonize with the melody, but with a higher sound. The bass vocalist will sing the lower parts and the baritone sings the remainder. Barbershop quartets began to spring up around the United States in the early 1900s. They were primarily groups of African Americans who hung out at barbershops as a place to gather and meet friends. The four-part harmony was something they had learned in their churches. The Mills Brother’s, whose father owned a barbershop, might just be the most famous of the barbershop quartets. As younger men they were known as the Kings of Harmony as they sang outside their father’s barbershop. They sang at church in the choir, but later on they toured the world with their sound. Much later they played more jazz and pop. They were eventually inducted into the The Vocal Group Hall of Fame in 1998. They made several albums with music that was performed in the time-honored a cappella style of the barbershop quartet. Many of the groups get their members from church choirs. They joined because they like to sing. They enjoyed a night out with a bunch of guys who liked to do the same thing and then they found that they soon became friends. A love for song brings them together and they are then just as likely to perform or compete as time goes on. There are many competitions that the barbershop quartets can compete in based on their abilities. There are competitions for novices; new groups that are still learning. Then there are also competitions at the senior level or for a certain geographic area or even international competitions, which pit barbershop quartets from all over the world against one another. These can be wonderful experiences for the singers as they travel to compete and get the chance to meet others from all over the world that enjoy the same hobby as they do. Barbershop quartets are often used for fundraisers for different church related charities. One of their big fundraisers is known as the Singing Valentines. The songs sung most often include “I Love You Truly” and “Heart of my Heart”. 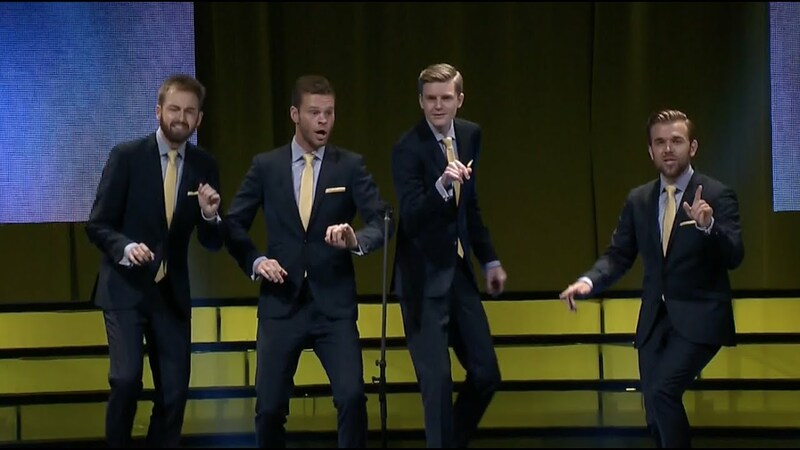 Even high schools are encouraging the forming of barbershop quartets. One of the things enjoyed most by the members of the barbershop quartets is the camaraderie among the members. Songs are chosen amongst the group, as are the clothes that will be worn for performances. There is no competition between them since each member has their own part to sing. Many quartet members make lifelong friends in the people they sing with. Since this is a hobby that is enjoyed worldwide there are barbershop quartet associations where the groups can belong. Between the three biggest groups, over eighty thousand men and women have joined. Though not as common there are women’s groups who sing in the same manner. There are several separate organizations that promote this genre of music when women sing it. They are sometimes called beautyshop quartets instead.